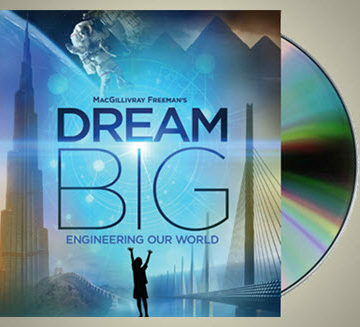 ASCE has a new goal for 2018: placing a DVD copy of the acclaimed documentary Dream Big: Engineering Our World in every U.S. public school. Placing the film with a toolkit of educational resources in every school will expand Dream Big’s audience to include students in rural and economically disadvantaged communities, support the growing need for curricula aligned with the Next Generation Science Standards, and promote greater interaction between engineers and educators. 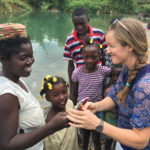 The toolkits will include the film itself – in multiple languages and licensed for educational screening – a teacher’s guide and accompanying educational videos. ASCE has secured generous support from the United Engineering Foundation, allowing for distribution to 30 percent of the 95,000 public schools in the United States, including all high schools. But there’s more to do. So how can you help? ASCE members can help put Dream Big in the remaining 70 percent of schools. Individuals can give $5 to place a toolkit in the school of their choice, using the newly launched website. You can search for different schools with the menu on the upper right-hand side of the page. ASCE will be taking preorders for the educational DVDs through the summer, with distribution to the schools set to begin in the fall of 2018. Hoping someone can help me here. I ordered the dvd/toolkit for my middle school (the $5 charge was way too good to pass up) and it’s almost 2019 and I still haven’t received it. Has anyone gotten their copies yet? Is there someone at the ASCE that I can contact? I saw this film at US Space and Rocket Center over the summer and it’s fantastic. I just know my students will gain a lot from it. When will these packets be distributed? I ordered four packets in June for our local school district’s three elementary buildings and the Middle School. I expected delivery prior to the start of the school year. In late August/early September an answer was posted that shipment of these packets would begin in November 2018. Now it is nearly December and none of the packets have arrived yet! I feel like a fool after talking up the program with our District’s Technology Teachers, and they making their lesson plans based on the teasing pre-release info shared on the websites, and no information has yet been delivered! What is the problem? The credibility of ASCE, and their educational outreach efforts, has plummeted as result of this long delay. Great idea. 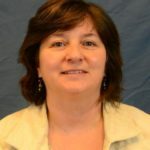 Is it possible to obtain copies to distribute from my engineering school to K-8 and privates not covered by the grant? Or do we need to order one at a time for the targeted schools? Either way, this is too good of a effort to not support. Yes, you can purchase multiple copies to cover the K-8 and private schools not covered by the grant. One way to do this is through the website http://www.engineersdreambig.org. We have a listing of all the public K-8 schools on that site which can be searched by city and state, or by zipcode. You can add additional schools to your shopping cart fairly easily. There is a form on the right side of the home page for you to use for purchasing a DVD for a private school. If you are interested in purchasing more than 9 DVDs then you should send an email to civilengineersdreambig@asce.org describing your plans and giving us a list of the schools you would like to adopt. We will contact you with instructions on how to proceed. I ordered one for a high school before seeing that those schools are already covered. Will the donated copy be distributed to a middle or elementary school instead? Yes, we’ll select a nearby elementary or middle school. Thanks for your support! How can I tell if my local high school already has the toolkit? If they don’t can I specify that they get one? All public high schools are covered thanks to the UEF grant. You can send copies to middle and elementary schools at: https://www.engineersdreambig.org/ Thank you so much for your interest! I am very interested in getting the DREAM BIG program distributed to our local school system. What grade level(s) would this participation/viewing be appropriate for? 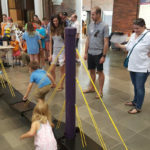 We have grant funding to cover the high schools and some middle schools, so it would be great if you could help cover elementary schools in your area. The film especially appeals to kids in grades 3-8. If all public high schools are receiving this DVD program, then why can I select several public high schools in my area from the list? It was my understanding that if a school was not listed, then they are already receiving them. It’s a development bug we’re still working on but, yes, high schools are already covered. Please consider supporting some of the middle or elementary schools in your area. And thanks for your generosity! So even the High Schools on the list will already be receiving a copy of Dream Big? I am trying not to duplicate if possible. My intent was to send a copy to 6 small high schools where I grew up, but if they will be receiving a copy already, I will send the copies to the Junior High/Middle Schools instead. Please Advise. Yes, that is correct. The high schools are covered, but you can specify middle and elementary schools you want to send Dream Big to, using: https://www.engineersdreambig.org/ Thanks so much for your generosity! 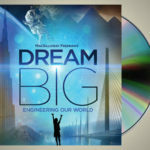 I ordered copies of the Dream Big educational packets for all 10 of the City of St. Charles Public Schools yesterday. Today when I went in to place an order for my sister for the 4 schools in her district, the schools I had selected and paid for yesterday were still available. Are we not somehow removing schools already covered by someone from the list? Sorry about the confusion. It’s a development bug we’re looking to have resolved very soon. Thank you for your interest in Dream Big! This “bug” should have been tested before making the website Live. I know personally I have not shared this with anyone as the school I donated to still shows up, so I don’t want to share it and have people think that the school is still available. If schools do get “doubled-up”, are we being notified that our order goes to the next closest school (geographically) or does the school get multiple copies? Or does it get refunded so we can pick a different school? Our developers are still working on this and expect to have this issue resolved by next week. Currently, most high schools have been removed from the site as those are covered by a grant. The terms and conditions posted on the site note that in the event of duplicate orders, we will apply donations to a nearby school that has not yet been sponsored. Given the volume of schools and orders we are unable to individually notify participants to select an alternate school. We really appreciate the response thus far–I am in awe of our members’ generosity! Thank you for participating and sharing your feedback.